(New York) - New York is known for its skyscrapers, not its steeples. 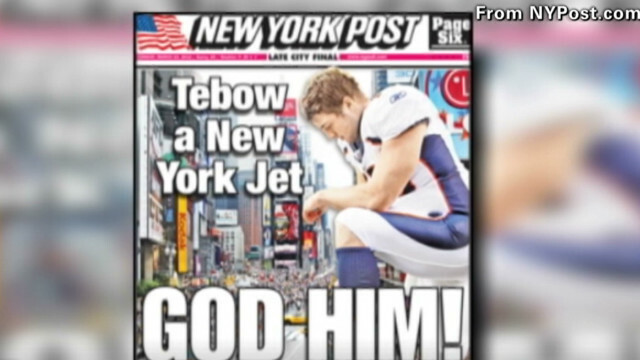 But it's hardly the den of godlessness suggested by some media coverage of Tim Tebow's trade to the Jets. "Welcome to Sodom," read a New York Magazine headline on Thursday. In fact, the country's largest metropolis has plenty of faith-minded folk. About 6,780 properties in New York qualify for a property tax exemption offered to houses of worship, according to a city spokesperson. That doesn't factor in the many congregations that don't own property. Tim Tebow, who was signed by the New York Jets this week, is hardly the first religiously devout athlete to don a New York jersey. (CNN) - It was an exciting day for Laura Dominguez and her 11-year-old daughter Paulina. They were summoned to their parish, the Saint Cosme and Damian Church in Mexico City to pick up the equivalent of a jackpot for Mexican Catholics: tickets to attend a mass presided by the pope in Gunajuato, about four hours from Mexico City. Dominguez, a 40-year-old Mexican Red Cross paramedic was elated. "It's very exciting. It's incredible. I never imagined I was going to get the opportunity to attend," Dominguez said. Pope Benedict XVI will travel to Mexico for the first time Friday. This is also his first visit to Spanish-speaking Latin America in his seven-year pontificate. Mexico boasts the second-largest population of Catholics in the world after Brazil, a country the pope visited in 2007 (Brazil's predominant language is Portuguese). He also visited the United States in 2008. 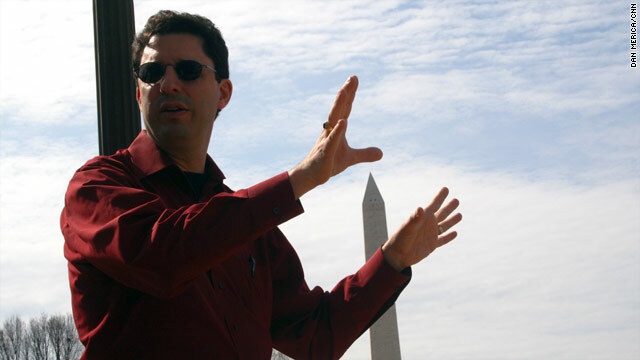 American Atheists president David Silverman in Washington, planning for Saturday's rally. Washington (CNN) – Sitting in a chilly hotel hospitality suite in a suburban Maryland hotel, David Silverman plans his attack. As the frequently quoted president of the American Atheists and a constant thorn in the side of religious organizations, attack mode comes easily to him. At the moment, it isn’t the religious right or the “horribly misinformed,” a term Silverman uses for certain religious people, that are in his sights. Rather, it’s a menu. “Spinach or Caesar salad?” Silverman, 45, asks to no one in particular. His dinner guests, a logistics consultant, a Marriott hotel representative and Silverman’s new administrative director, eat through a few courses before discussion turns to dessert. “In the beginning, God created chocolate,” Silverman says, his eyes scanning the table for reaction. Laughter ensues. But this is a business meal. From choosing salads for a fundraising dinner to studying the timing of the Washington transit system, Silverman has been spending less time recently on the big question of God’s existence and more time immersing himself in the nitty-gritty of planning what he promises will be the largest-ever atheist gathering.